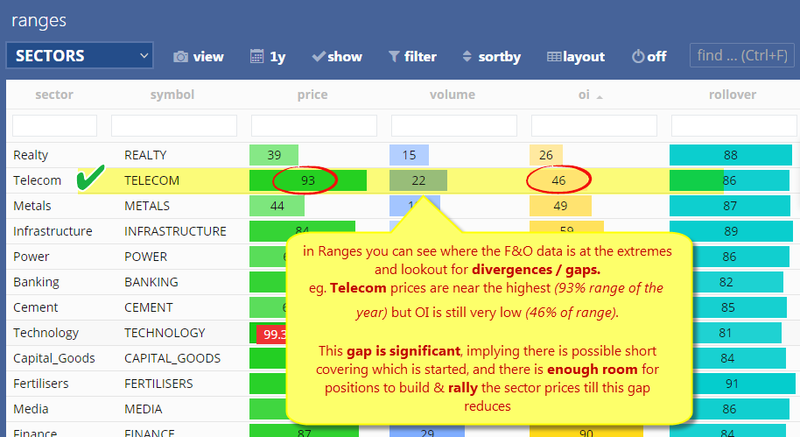 HomeSector Analysis of FnO data – How to see the bigger picture ? One of the best ways to pick a winning trade is through a top down approach . 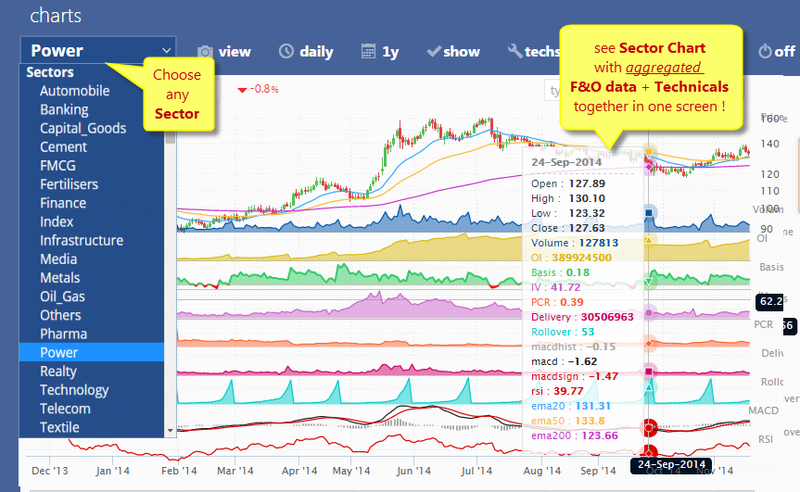 First identify the sector showing a trade opportunity and then look for the best stock in it. In MyFnO, we have always strived to figure out how we can deliver that extra edge using F&O data. For Open Interest (OI), Future Volume, Delivery, we calculate in Value terms (INR cr) and add up the Total of all the sector components so that they can be compared on a common base. 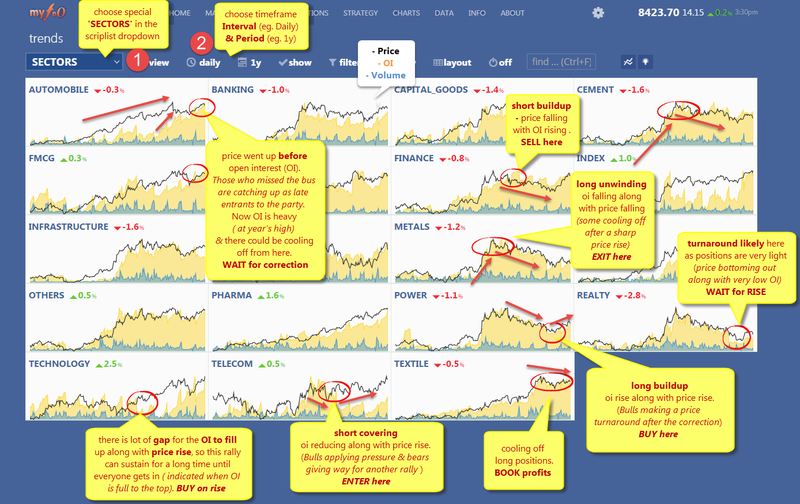 Now you can also see a full Sector Chart for the first time with aggregated F&O data & Technical indicators combined together in one screen ! 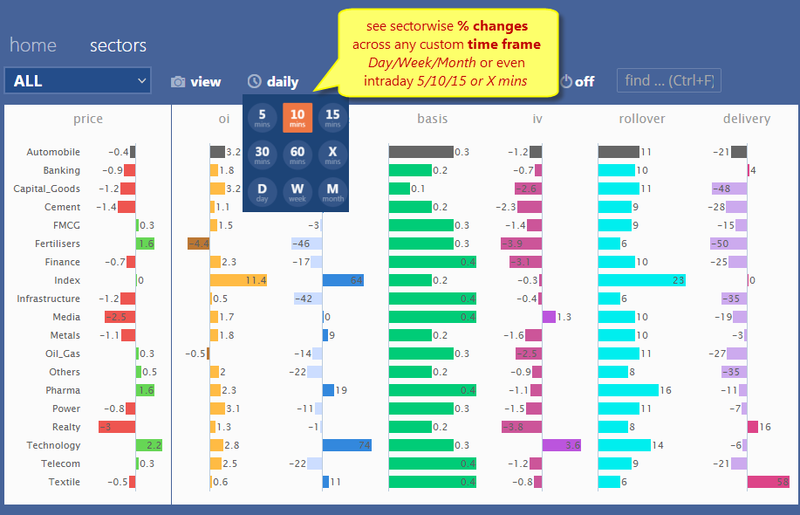 In Markets page , you can also see Sector wise TopX gainers/losers across aggregated sector data like price%, oi% , avg premium/disc %, avg Rollovers % / delivery% etc. So as you can see there are various ways to see the bigger picture in action happening across sectors. It is all out there for you to see. Just waiting for you to spot it ! I am using this software since a time but i am looking for inbulit elliot wave analysis. Is it possible? I want to know that if open interest is high for example 83% and the price has risen by 30% what it means. Is it mean that the price can go up by 53%, this is on yearly basis.